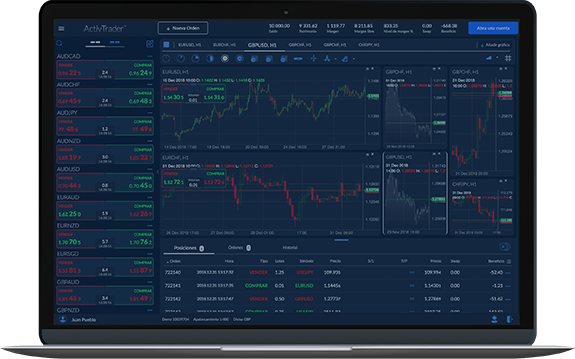 The enhanced ActivTrader platform utilises the the latest technology and advanced functionalities to create an immersive trading experience. 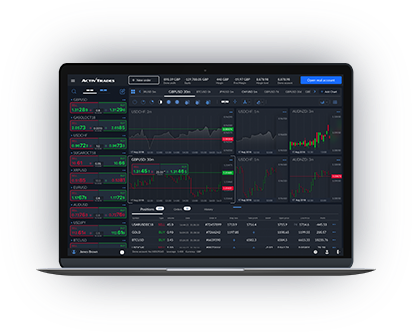 Access the financial markets and trade over 500 CFDs including Forex, Commodities, Financial and Indices, Options, Shares and ETFs. Trailing stop is a type of stop loss that tracks or ‘trails’ the current price of your open position and places your stop order when the price reaches a certain distance, in points, from your order. This differs from regular stop orders which take effect once a specific price has been reached. Trailing Stop allows you take greater control in the markets by mitigating risk and safeguarding your profit. Hedging is a risk strategy that allows you to offset adverse price movements by investing in the same product but in another direction. For example, having two open positions on EURUSD, which are long and short, to limit risk. Monitor which direction the market is moving in with the Sentiment Functionality. Market sentiment shows the attitude of fellow traders towards a financial instrument within the market. 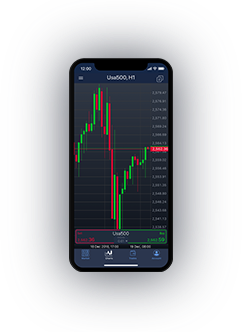 With ActivTrader you can see the popularity of an instrument and which direction other investors have taken to make better informed trading decisions. Use powerful real-time charts to explore historical trends, see current patterns and forecast your next move. Choose from over 14 chart types and a range of precise indicators to strengthen your trading strategy. From Simple Moving Averages to Stochastic Oscillators, see the full picture with ActivTrader. 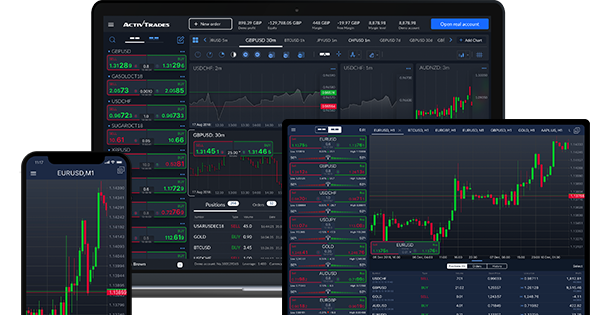 Enjoy an immersive trading experience with ActivTrader for desktop. 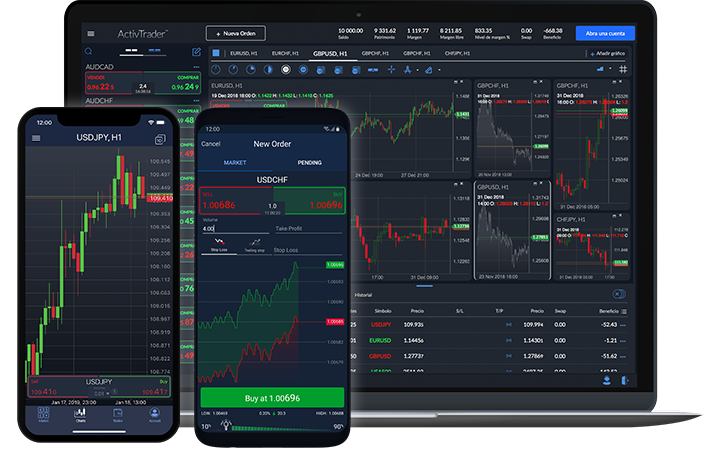 Access the financial markets on a PC or Mac easily without the need to download or install any software. 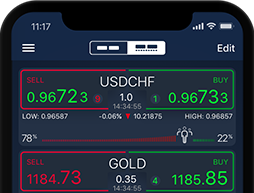 Seamlessly take your trades on the go and make the most of every opportunity with ActivTrader for iOS and Android. ActivTrader for mobile has been designed for minimum battery and internet data consumption. Enjoy the best of both worlds with ActivTrader for tablet. 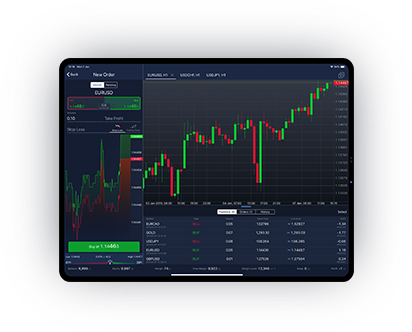 The powerful experience of desktop view combined with the flexibility of ActivTrader for mobile, creates an unparalleled trading experience. Explore the platform instantly! Register when you are ready! No forms or downloads required!